1.1. BOLTRA will let, and the Hirer will take, on hire the e-Bike/s described in the Application herein after referred to as the e-Bike. 1.2. Any e-Bike rented is for the Hirer’s exclusive use only. The Hirer acknowledges and agrees that it will not permit any third party to use the e-Bike. 2.1. The Parties agree that the term of hire shall on-going be from the Start Date unless terminated in accordance with clause 2.2 (the “Term”). 2.2. Not with standing anything to the contrary in this Agreement, the Hirer may terminate this Agreement by contacting BOLTRA in writing or scheduling the return of their e-Bike at least 5 days’ before the end of any monthly payment cycle (the “Notice”). For the avoidance of doubt, if the Hirer terminates this Agreement after the beginning of a new payment cycle one further full monthly payment cycle will be deducted from the date of the Notice. 2.3. If this Agreement is terminated prior to the Start Date, BOLTRA will decide at its sole discretion whether it will refund the first 30 day payment made up front. 3.1. The Hirer agrees to pay BOLTRA the Total Rental Fee (subject to clause 2 above) as stated in the Application and authorises BOLTRA to charge all amounts payable to the Hirer’s supplied account (the “Hirer’s Account”). The Hirer’s Account means a direct debit account provided by the Hirer or a credit card. 3.2. The Total Rental Fee will be automatically deducted every month from the Start Date from the Hirer’s Account. 3.3. If the Hirer elects to make payments via direct debit, the Hirer is to fill out a direct debit authority prior to the Start Date and warrants that the bank details are correct and that the account will have available funds for each and every monthly payment during the Term. 3.4. In the event that payment from the Hirer’s Account declines, BOLTRA will notify the Hirer and the Hirer shall arrange for alternative payment within three (3) days after the date of such notice. The Hirer will be liable to pay any additional charges incurred by BOLTRA due to the payment decline. 3.5. If the alternative payment is not made in accordance with clause 3.4 above, the Hirer shall have the right to terminate this Agreement by written notice to BOLTRA, in which event, the Hirer shall immediately return the e-Bike to BOLTRA. If the Hirer does not immediately return the e-Bike, the Hirer will be liable for additional late charges for the late return of the e-Bike at a rate of $70 per day until the e-Bike is returned. 3.6. If the Hirer loses their provided lock and/or key/s the Hirer will be liable for additional replacement charges at a rate of $50 per lock and/or key/s. 4.1. Once the rental has commenced, the Hirer has full responsibility for the e-Bike. (b) the e-Bike is in proper working order on completion of the rental (not including battery charge). If there are any problems with the e-Bike, then this must be reported to BOLTRA immediately. (k) should the Hirer consider that the e-Bike requires repair attention, the Hirer must stop driving and advise BOLTRA immediately. 4.4. The Hirer agrees and undertakes to defend, indemnify and keep BOLTRA indemnified from and against all claims, losses, expenses, actions, proceedings, liabilities and demands (except where caused by BOLTRA’s negligence or default) incurred by BOLTRA in any manner from this Agreement. 5.1. Subject to clause 6, if the e-Bike is involved in an accident, is damaged, breaks down or requires repair or salvage, regardless of cause, the Hirer must notify BOLTRA immediately and advise on the full circumstances. 5.2. The Hirer must not arrange or undertake any repairs or salvage without BOLTRA’s authority as BOLTRA has manufacturer warranties with the supplier, except to the extent that repairs or salvage are reasonably necessary to prevent further damage to the e-Bike or to other property. 5.3. If the e-Bike requires repair or replacement, the decision to supply another e-Bike to the Hirer is at BOLTRA’s sole discretion and will be on the terms specified by the BOLTRA. 6.1. BOLTRA agrees to provide the Hirer maintenance for standard e-Bike repairs being spoke, bolts and nut tightening. General clean up and fighting of gears, brakes and brake pads/discs. Repairs which are not the result of an accident or negligence on the part of the Hirer ( “Maintenance Offer”). If the Hirer requires the Maintenance Offer it will contact BOLTRA between the hours of 0830 to 1730 (the “Business Hours”) and advice BOLTRA of the repair required. 6.2. BOLTRA will endeavour to attend to meet with the Hirer within Business Hours on the day maintenance is scheduled. 6.3. Upon meeting with the Hirer to provide the Maintenance Offer BOLTRA will assess the e-Bike to determine, in its sole discretion, if the Maintenance Offer is applicable. If BOLTRA determines that the Maintenance Offer is applicable, BOLTRA will provide the Hirer with a replacement eBike until it has completed the repair on the e-Bike, if applicable. 7.1. The Hirer must, at or before the expiry of the Term as per clause 2.2, deliver the e-Bike to the place of business of BOLTRA during the Business Hours. 8.1. If the Hirer does not comply with clause 7, the Hirer will be liable for additional monthly rental charges for the late return of the e-Bike at the monthly rental rate agreed at the commencement of the contract until the e-Bike return (“the Late Fee”). The Hirer authorises BOLTRA to deduct the Late Fees from the Hirer’s Account. 10.1. BOLTRA’s e-Bike’s are insured under Aon Insurance (“Policy”) being a company licensed to carry out insurance business in New Zealand under the Insurance (Prudential Supervision) Act 2010. Under the Policy, only the person named on the Application Form is permitted to drive the e-Bike and will be the only person covered under the Policy. 10.2. BOLTRA is not providing insurance services to the Hirer. BOLTRA manages the insurance provided under the Policy. BOLTRA reserves the right to determine whether or not to claim under the Policy. In the event of damage to the e-Bike, the Hirer agrees to immediately contact, and solely deal with, BOLTRA. 10.3. The cover provided under the Policy is limited to the value of $5,000 plus GST which covers the full replacement value of the e-Bike. 10.4. The Hirer must pay a contribution to BOLTRA to cover the total excess under the Policy limited to $5,000. (h) the e-Bike was used as a mountain bike or for off-roading purposes. 10.6. The Hirer will be liable for all damage, loss and costs incurred in relation to the e-Bike and this Agreement if the Policy does not apply. 11.1. 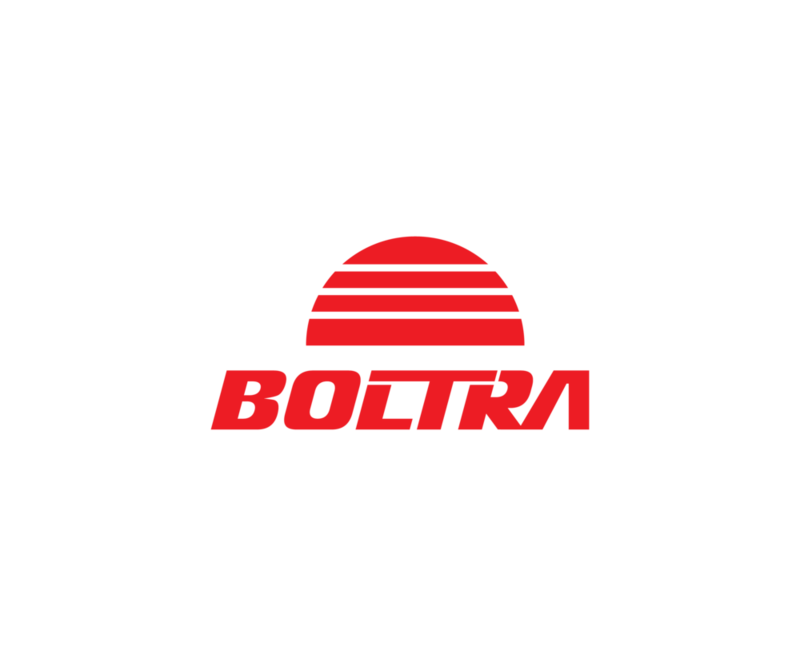 BOLTRA may collect information about the Hirer in connection with the performance of this Agreement. The Hirer may not be able to perform this Agreement if all the information requested is not provided. 11.2. Information collected and held about the Hirer may be used by BOLTRA in connection with the performance of this Agreement. BOLTRA may disclose such information to others for the purposes of performing this Agreement. 11.3. Such information will be stored in accordance with the applicable laws under the Privacy Act 1993, individuals have rights of access to, and correction of, their personal information upon contacting BOLTRA. BOLTRA will comply with the Privacy Act 1993 and any applicable regulations and codes in connection with the collection and use of such information.